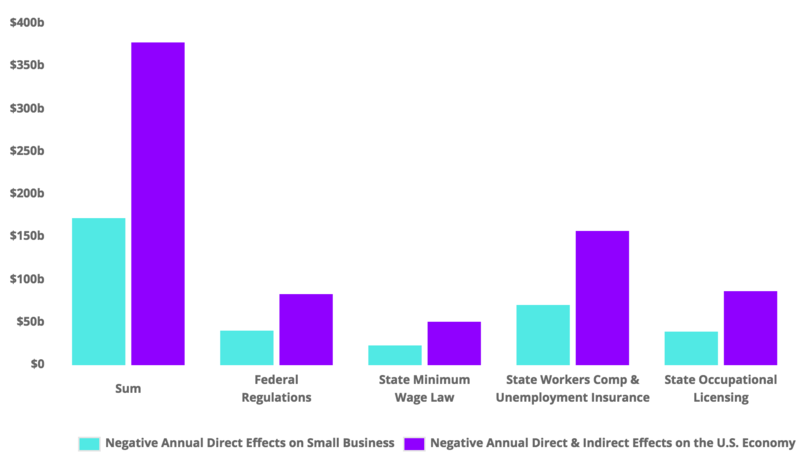 The Small Business Regulation Study, supported in 2016 by the Bradley Foundation, assesses the impact of regulations on America’s small businesses as well as existing approaches to regulatory reform. The results of this review of the literature provide distinct insights for the business community to help it comply with, and push back, the regulatory state. 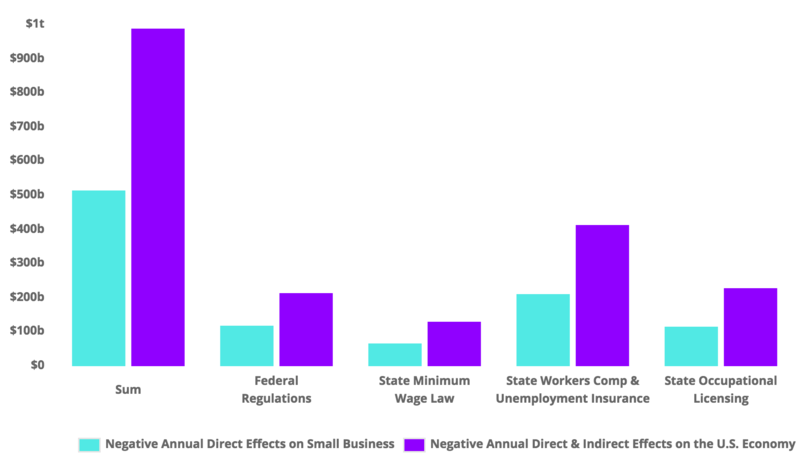 The study concludes that government regulations have a disproportionate impact on small businesses and free enterprise in America. Small businesses are innovative growth engines for the American economy and are the heart of American entrepreneurship. Small business owners wear many hats, from hiring and managing employees to monitoring profits, to paying bills to making sales. They are on the front lines of commerce and are often the first to feel the effects of a slowing economy or bad public policy. Owning a small business is not easy, especially in today’s economic environment. Despite these challenges, net job creation by small firms has consistently outpaced job growth by big businesses. While elected officials talk about protecting small businesses and helping them succeed, the facts point to a growing regulatory environment that’s making it harder for small businesses to remain competitive and operational. Small businesses, and by extension America’s economy, face strong headwinds to growth. Government regulations continue to impact small businesses and free enterprise in America. While rules are needed to do business in modern economies, an excessive and complex regulatory system creates significant adverse effects on the economy. Unlike other business expenditures, such as research and development, regulatory spending is not an investment that generates growth for companies or the economy. In 2015 alone, there were 23 final “economically significant” federal rules1 published in the Federal Register that have had a negative impact on a substantial number of small businesses.2 The agencies issuing these rules calculated that regulatory cost burdens—such as compliance, paperwork, and conversion costs—were nearly $4.9 billion per year to the affected industries and more than $4.0 billion to small businesses. Given these stakes, developing a better understanding of regulatory impacts on small business and entrepreneurship is imperative. Over the last 60 years, the U.S. population increased by 98% while the federal regulatory code increased by 850%, including some 6,081 final rules published between 2015 and 2016. In 2013, the Federal Register of rules and regulations was 175,496 pages in length, approximately the same length as 122 combined copies of Tolstoy’s War and Peace. Businesses have to comply with federal regulations as well as more stringent state and local regulations. A complex regulatory system translates into regulatory cost burdens for small businesses, which, in turn, affects the economy directly. Beyond the federal level, small businesses have to deal with a maze of red tape from state and local governments to start a business, apply for a business license, hire employees, pay taxes, enforce contracts, and even close a business. Regulatory complexity is death by a thousand cuts to America’s small businesses. Indirect regulatory costs of compliance, paperwork, and conversion directly create substantial monetary burdens for small businesses. A small business in New York City has to pay, at a minimum, $1,306 and complete seven paperwork procedures over eight days to start a small business. A small construction company in San Francisco spends at least $108,063 and 184 days to obtain a construction permit. A small business in Chicago has to spend time making 33 tax payments per year for corporate, employment, sales, and business license taxes. This problem is compounded by the estimated 90,106 state and local governments in the United States (as of 2012), each with their own varied authority to promulgate rules and regulations. Their rules and complexity continue to harm America’s small business. Would you actively encourage or discourage businesses to locate in your region based on the level of regulation? 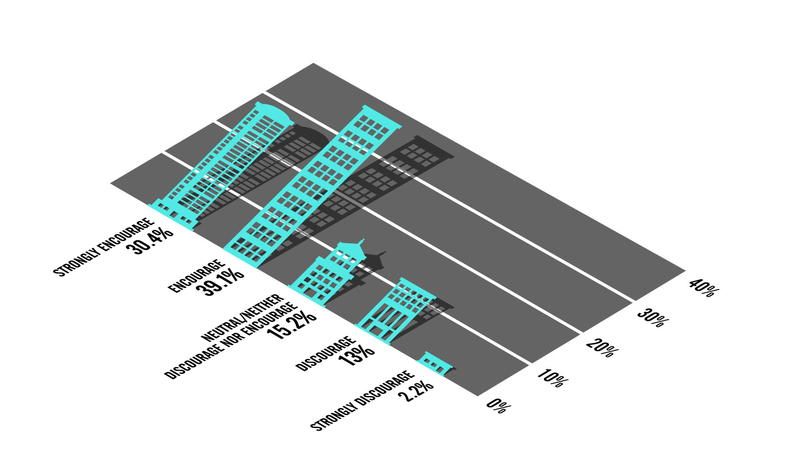 Source: U.S. Chamber of Commerce Foundation survey of state, local and regional chamber officials. ...the Federal Register of rules and regulations was 175,496 pages in length, approximately the same length as 122 combined copies of Tolstoy’s War and Peace. Interestingly, nearly one in three chamber executives we spoke with as a part of this project (64 individuals across 26 states) say they would not actively encourage new business establishment and relocation in their regions based on the current regulatory climate. Yet the body of research on state and local regulation is surprisingly slim. Despite limited data, it is clear that local governments, in particular, make up a key part of the regulatory infrastructure. Local governments had nearly $1.2 trillion at their disposal in 2013 to implement policy and enforce rules and regulations. Given these stakes, developing a better understanding of the regulatory impact on small business and entrepreneurship is imperative. The complexity of the federal and state regulatory systems creates disproportional cost burdens on small businesses, which account for 99.7% of U.S. companies and nearly half of private-sector workers. Small businesses pay on average $11,700 per year per employee in regulatory costs, and the costs of regulation to smaller businesses with 50 employees or less are nearly 20% higher than they are for the average firm. The regulatory costs of federal economically significant rules to small businesses amount to over $40 billion per year. This problem will be amplified as the federal regulatory infrastructure continues to grow. Between 2000 and 2016, the federal government budget for regulators increased by nearly 93%. Spending on economic regulation increased by 108%. During that same period, the U.S. economy grew by only 32%. Increases in per capita regulatory expenditures are directly correlated with decreases in the number of small firms that employ between one and four persons. Federal regulation is estimated to cost the American economy as much as $1.9 trillion per year in direct costs, lost productivity, and higher prices. For every one law Congress passes, the federal government issues 16 new regulations. Between fiscal year 2005 and fiscal year 2014, federal agencies published 36,457 final rules. Meanwhile, formal appeals to the Small Business Administration’s office for assistance in dealing with federal regulators rose 65% between 2012 and 2014. Data show that this entrenched regulatory environment negatively impacts entrepreneurship and business startups as increases in per capita regulatory expenditures are directly correlated with decreases in the number of small firms that employ between one and four persons. When regulations are enforced, there can be a wide variance in interpretations by regulators. There is a difference between what’s on the books and how it’s enforced—regulators may implement according to their own interpretation. Exacerbating the problem, regulators have little incentive to cooperate with businesses or with each other. As a result, the burden of regulation often greatly exceeds the requirements directly imposed in rulemaking. In addition to the complex and rigid federal regulations, small businesses also face layers of state regulations. Studies identify specific regulations such as minimum wage, workers compensation, unemployment insurance, and licensing as particularly affecting small businesses. Minimum Wage Laws: Since July 2009, the federal minimum wage increased to $7.25 per hour for covered nonexempt employees. While 21 states apply federal minimum wage to their state laws, 30 others have laws that set minimum wages above $7.25 per hour. The minimum wage premiums are as high as 38% in California and Massachusetts ($10.00 per hour) and about 3.0% in Maine and New Mexico ($7.50 per hour). Small businesses in these 30 states where state minimum wages are set higher than the federal level employ nearly 35 million workers (excluding self-employees), pay $1.5 trillion in wages, and contribute $9 trillion to state economies. Workers Compensation and Unemployment Insurance Laws: Workers compensation insurance and unemployment insurance are direct costs to small businesses when hiring new employees. Workers compensation insurance is a state-designed employee benefit program for workers injured on the job. Unemployment insurance is a joint federal-state program to provide benefits to qualified unemployed workers. The insurance costs to small businesses vary from $657 per worker in North Dakota to as high as $2,340 per worker in Alaska, which has led to small businesses in all 50 states paying more than $71 billion per year for workers compensation and unemployment insurance. 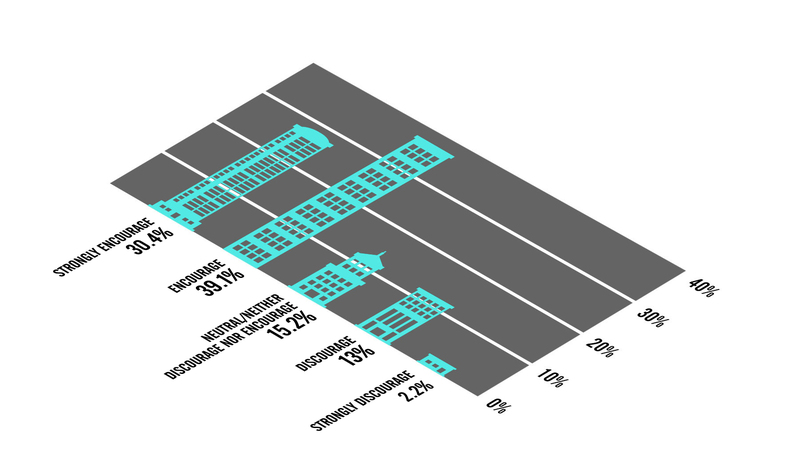 State Occupational Licensing: State occupational licensing, often referred to as the right to practice, is the most restrictive form of the state occupational regulation. More than 1,100 occupations are regulated in at least 1 state and around 60 are regulated in all 50 states as occupational licensing has nearly tripled in the past 50 years. Licensing requires individuals to be qualified by state standards in order to provide their services legally in the registered state(s). Occupational licenses are awarded by government agencies, while most certifications are issued by a nongovernmental certification body. The share of licensed workers varies widely across states, ranging from 15.9% in South Carolina to 38.5% in Kentucky. Education, health care, and financial services are the top three industries that require licenses or certificates to practice. Currently, more than 12.2 million or 21.7% of small business workers require a license to practice a trade or a profession. Studies have shown the negative impact of licensing on employment, job matches, and customer benefits. State Occupational Licensing: State occupational licensing, often referred to as the right to practice, is the most restrictive form of the state occupational regulation. Efforts to reform the regulatory state have had mixed results. Even governments that have adopted reforms have sometimes failed to follow through on meaningful implementation. Better assessment of the effects, challenges, and possible reforms will require an increased commitment to gathering data and supporting innovative research. An increased focus on cutting administrative complexity, allowing more flexibility in compliance, and a government focus on improving and reforming regulatory processes can make a world of difference to small businesses, even if the number or type of regulations doesn’t change. Disseminate information to lawmakers and small business community about pending or existing regulations that will detrimentally impact the vitality of small business. Identify and publicize specific instances of regulatory overreach where agencies have obviously acted arbitrarily and capriciously toward a small business. Provide direct financial support for individual small businesses’ litigation against regulators. Engage in party litigation and/or provide amicus support in key cases impacting small businesses. Become proactively involved in shaping the regulatory framework of new and emerging industries where small businesses are key drivers. For example, 3D printing, nanotech, biotech. Local and regional chamber officials see a need for support services for small businesses impacted by regulation, including advisory services, litigation support, and development of model legislation to guide meaningful federal, state, and local regulatory reform. With access to better data, reformers and small business advocates will have a better picture of the challenges faced by small businesses across the nation. Armed with these facts, advocates will be better able to push for needed reforms, identify potential partners, and make the political and economic case for effective small business regulatory reform at all levels of government. We must listen to America’s small businesses. It’s time for entrepreneurs to join together to stop the regulatory choke hold on American small businesses. Now it's time for small business owners to join together to stop the regulatory choke hold on American small businesses and small business owners. Better assessment of the impacts, challenges, and possible reforms will require an increased commitment to gathering data and supporting innovative research. Armed with these facts, advocates will be better able to push for needed reforms, identify potential partners, and make the political and economic case for effective small business regulatory reform at all levels of government.